Sushi is one of my favorite things to have for lunch or dinner, I decided to make a vegan version of it! To assemble the Sushi Cover a bamboo sushi mat with plastic wrap. 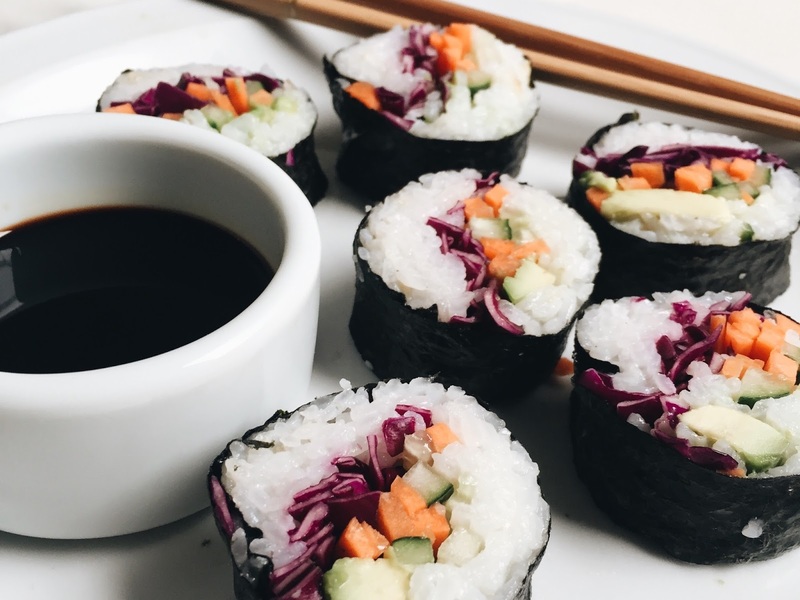 Place a nori sheet rough-side up on it. Wet your hands with water and place about two handfuls of rice on your nori sheet and press into a thin layer. Add the filling and roll. I think there is no right ratio for this recipe, you can use as much of each ingredient as you consider necessary. 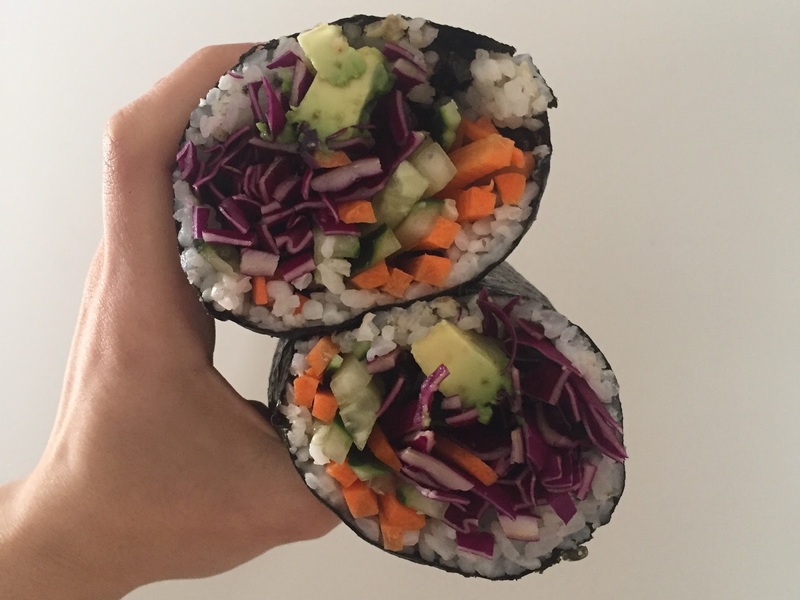 You can also make this into a sushi burrito adding more filling to it.